DMRpresents: Nerukhi – Dreams Made Real Inc.
Nerukhi a.k.a. 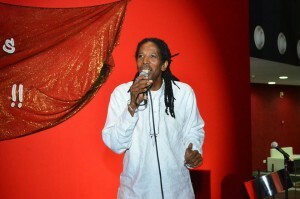 Ato Osei is a Singer/Songwriter and Music Producer from Trinidad and Tobago. He has had nine songs reach No. 1 on the local Indigenous Music Charts, organized by the Artist’s Coalition of Trinidad and Tobago (ACTT), as well as fifteen hit songs. His No. 1 songs include “If I Told You The Truth”, “Another Morning”, “Back To The Roots”, “The Unity Song”, “The Lie”, “Pretty Girl”, “The Light”, “Black Lives Matter” and “Let’s Make a Slave” which is his most recent chart topper. Nerukhi has done collaborations with both local and foreign artists. His song “Back To The Roots” is a collaboration with Kiriiah Mekongo from Cameroon. 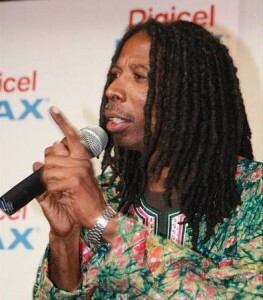 He collaborated with the late Bert Lynch, Ras Lett and other local artists on “The Lie”. On “The Unity Song” he worked with Meguella and his song “Dreaming” features Nekisha “Neicy” Cyrus. The music video for “Another Morning” placed third in a video showcase by Coast2Coast Mixtapes. His music is also featured on the uplifting music promo site – Dreams Made Real. His recent songs “Black Lives Matter” and “Separate Ways” were featured on the USA based Internet Radio show – The Nightfly. 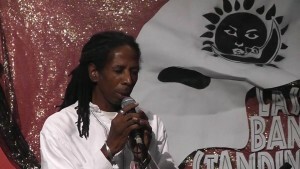 Nerukhi performs several musical genres including his own brand of Calypso-Reggae, Rapso, Folk, Jazz and World Beat with his music having appeal to all ages. 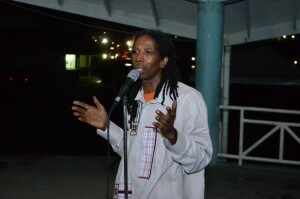 He often performs at venues across Trinidad and Tobago making fans with young and old, and he enjoys taking music to the people of the rural communities. His versatility is evident in his latest release “Separate Ways” – a jazzy and soulful commentary on domestic violence. He is currently in the process of releasing two new tracks as well as his third album. Find Nerukhi on (just click): Facebook, Youtube, Soundcloud, and Reverbnation!